The main aim of the 'Gravitational physics' programme is to find direct experimental evidence for the existence of gravitational waves: ripples in spacetime that are emitted by accelerating heavenly bodies. The discovery of gravitational waves would prove that gravity is a dynamic phenomenon. It would also make it possible to measure the astrophysics of extreme objects and cosmology in relation to the general theory of relativity. Advanced Virgo, and major upgrade of the laser interferometer Virgo in Italy, will detect gravitational waves within a few years. Researchers from this FOM programme are responsible for several crucial subsystems of Virgo. 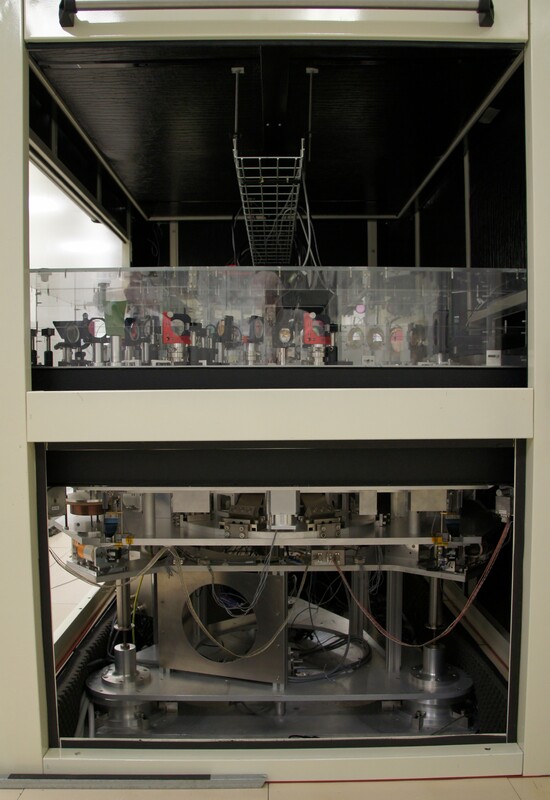 First of all, the Nikhef researchers are producing vacuum cryolinks. To achieve the necessary detector sensitivity, the vacuum in the vicinity of the optics must be of a high quality. Nikhef is responsible for the construction of cryolinks in close collaboration with Dutch industry. In 2013, the construction of the first cryolink was completed. Secondly, Nikhef is responsible for the seismic shielding. Tables on which the optics are placed and mirrors must be vibration free. That can be achieved by isolating them from their environment. The first seismic shielding was installed this year in the detector. Finally, the Nikhef researchers are making several optical systems. Via modulated vibrations the researchers match the optical components extremely precisely with each other – significant progress in this area was made in 2013. The scientists are also making preparations for when the detector becomes operational. Colliding neutron stars and black holes, which emit gravitational waves, are unique 'laboratories' for investigating the dynamics of spacetime. 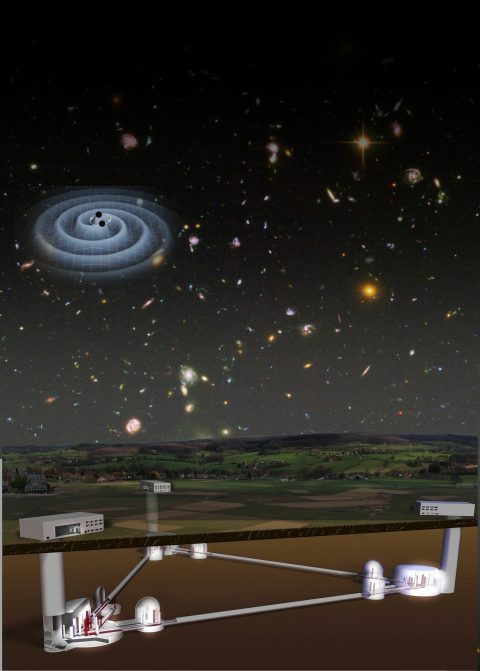 Therefore the researchers will soon be able to test the general theory of relativity in a previously unparalleled manner, exclude or confirm alternative theories of gravity, and search for possible low-energy effects of quantum gravitation. A highlight in 2013 was the successful testing and release of the very first software for data analysis, which in the next few years will ascertain whether Einstein's theory does indeed apply in these previously inaccessible regimes. Meanwhile the future of the discipline is under consideration. One of the new initiatives is the Einstein Telescope. Nikhef is making important contributions in the design phase for this new type of gravitational wave observatory. This system will be installed in Advanced Virgo to attenuate vibrations. The infrastructure for the Einstein Telescope: a subterranean, triangular observatory with arms ten kilometres long and located at a depth of several tens of metres.